As we reported back in February, Israel had sent a lunar lander up with a SpaceX launch with the intention of landing on the moon. 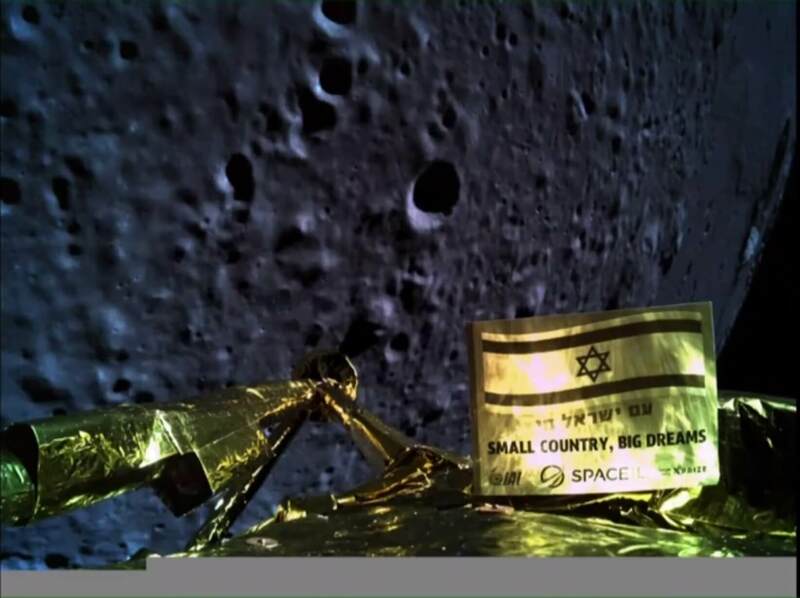 Today, SpaceIL's unmanned craft Beresheet crashed during a live feed of the descent on Thursday and was deemed a total loss. The mission was initially a grab for Google’s $20 million Lunar Xprize. However, when the space voyaging startup could not meet the deadline, losing the prize, it decided to continue on anyway. Google promised to give the private agency $1 million for a successful landing as a consolation prize. During Beresheet’s descent, controllers lost communication with the craft. The lander presumably smashed into the moon’s surface likely destroying its instrumentation that was to be used during the mission. The craft’s directives were to measure the moon’s magnetosphere and to set up retroreflectors that NASA was going to use to measure the precise distance to the moon using a laser. Despite the loss, Israel Aerospace Industry’s division head Opher Doron seemed upbeat about the incident. While communications were severed before the craft could touch down, it was able to send back a couple of pictures including a selfie as it approached the lunar surface (masthead image). Israeli Envoy Elad Ratson tweeted what was to be the last photo Beresheet sent home (above). That s not the end for SpaceIL. The startup said that might try again, but gave no specifics. Google also decided to give the non-profit the $1 million despite the failure. Palestinian terrorists, is that you? Better luck next time. As for the money - ask Obramovich to pay for it, now that he is an Israeli, time to start milking that SOB Russian gangster. mcborge and Black Paper like this. They just can't catch a break. Never mind, hope that they really do try again. Gmachine, Wessell Urdata, xxLCxx and 5 others like this. Well give them a break they never landed ordnance before, usually they are meant to crash on people's home. Gmachine, arrowflash, xxLCxx and 2 others like this. Oops! operation "Grab Moon Land" unsuccessful... Roger that! Did you misspell everything on purpose? It's funny, I give you that. Top comment - 6,000,000 likes! Where is Mel Brooks when you need him? Have you forgotten Jews in Space? But I thought it was Berezovsky who was the SOB Russian gangster since it was Abramovich who had to pay him millions each year for mafia protection. They both were. Berezovsky tried to sue Abramovich over some stolen money, which cost him life. Israelis forcefully occupying Palestinian territory is a gross aggression, and in a way, they are the real terrorists with US support. When Palestinians fight back for what is theirs, you call them terrorists? What a shameful comment. When countries have disputes, there is never 100% right or 100% wrong sides. There is always dirty play from both sides. What was I talking about? Ah yea, sides. If I had to side with one of them--Israel. Those Arab are medieval savages. They treat women like property, there is no technology or progress in their stone age ghetto. And they always blame Israel. Israel that fought every inch, not to expand but to survive. Voices for Palestine are not rare, I have heard them. But most of their supporters would not wanna live there and abide by their dark age laws.I am not trying to be biased although Israel's advances in technology are awesome, and at the same time leechy behavior of Palestine makes me feel nothing but pity. These both nations gotta find away to live in peace. But Palestinians need to stop flying rockets toward Israel's cities. They bring death on their own women and children like the cowards they are. No, not cowards. Savages, because savages have their own code of honor and it isn't the one civilized world recognizes. If I met a Palestinian in this country nothing of what I said would apply to him or her, this is rather said toward rotten Palestinian government and their Iranian cancerous allies. As for the people of both nations, let them find peace and healing.